Byta - Knowledge Base "What Does 'Byta' Mean?" Home / About Byta / What Does ‘Byta’ Mean? 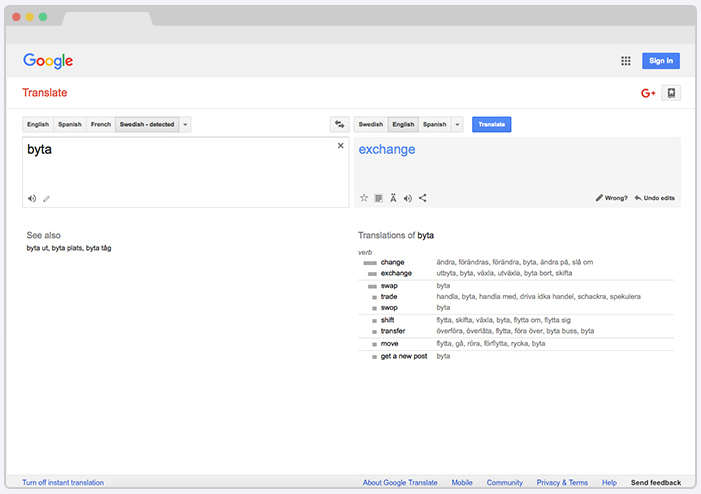 The loose translation of ‘byta’ is ‘exchange’. Other translations include ‘swap’, ‘trade’, ‘transfer’, ‘move’ and ‘get a new post’. All fitting words for what we are doing with Byta. Click on the Google Translate image below to see for yourself.